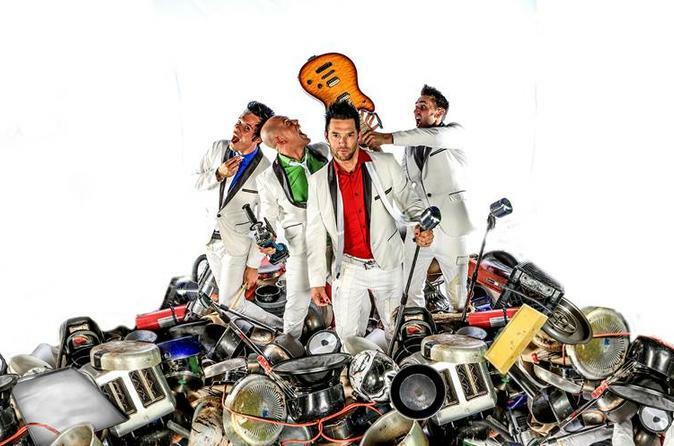 Jam along to Chaos and Confetti by Recycled Percussion at The Planet Hollywood Resort and Casino in Las Vegas! Featured on NBC's 'America’s Got Talent,' this 'junk rock' sensation combines extreme percussion, engaging humor and extraordinary athleticism for an interactive all-ages show. Whether they’re playing on buckets, ladders, car parts or sinks, Recycled Percussion’s energy and creativity is bound to blow you away.